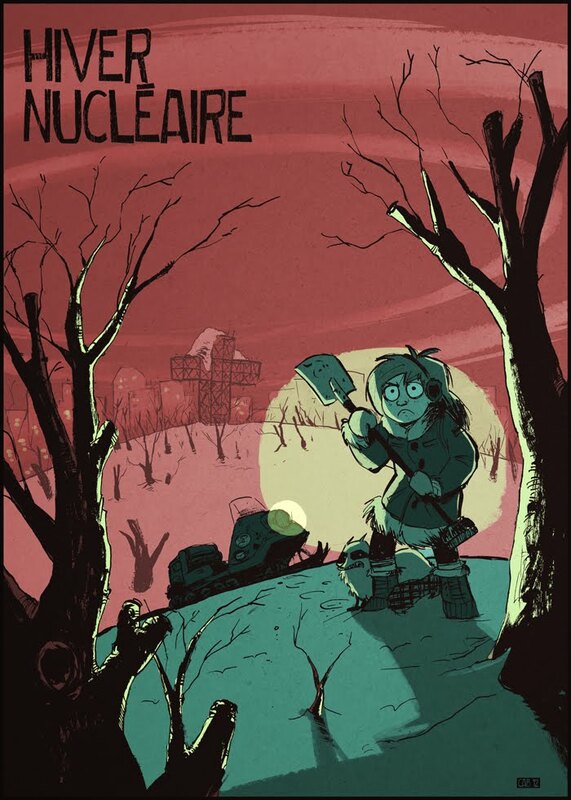 Promo shot for a very early-stage comic project called Hiver Nucléaire. It takes place in Montreal, stuck in a perpetual atomic winter. There be stuff lurking in the Mont-Royal woods!